When watching a NASCAR race on TV, naturally the cameras stay focused on what’s happening on the track, in the pits and back in the garage. After all, that’s what the fans came to see, right? Of course. But for fans who actually attend a NASCAR race, there is so much more going on before and after the race. 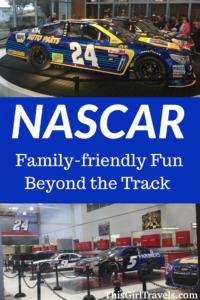 And, perhaps even more surprising for many, much of the activities surrounding NASCAR is family-friendly so there’s no reason to leave the kids at home. 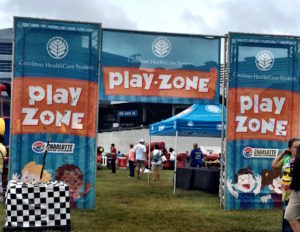 At just about every NASCAR track on the circuit, visitors will find a “Fan Zone.” Located somewhere outside the track gates, the Fan Zone features a variety of entertainment, ranging from interactive games and inflatables for the kids to merchandise trailers (sometimes with scheduled appearances and autograph sessions with NASCAR drivers) and giveaways. On occasion, you’ll also find live musical performances or roaming bands. In addition, many food and beverage concessions can be found in and near the Fan Zone. 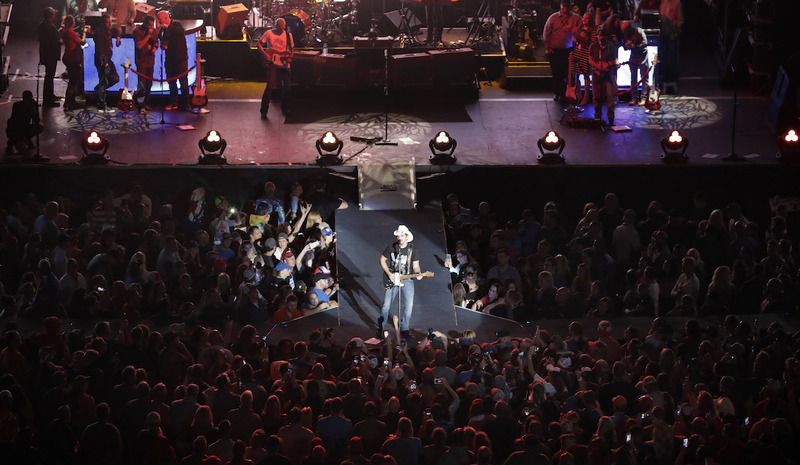 In conjunction with many NASCAR races, many NASCAR race tracks will host a fan concert during race weekend. 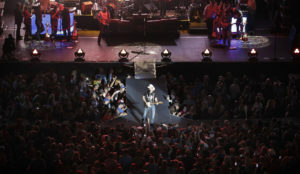 For instance, when I attended the Bank of America 500 at Charlotte Motor Speedway in Concord, N.C., last October, anyone with a ticket to the Bank of America 500 on Sunday could get into the Brad Paisley concert on Saturday for free. At this year’s Daytona 500 at Daytona International Speedway in Daytona, Fla., in February, Rascal Flatts performed for race ticket holders prior to the race. These concerts offer fans a fantastic value for attending two top-tier events for the cost of just one ticket. 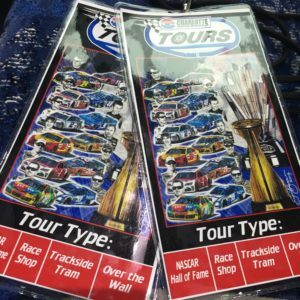 At many NASCAR tracks, there are opportunities for racing-related tours that are of great interest to race fans of all ages. 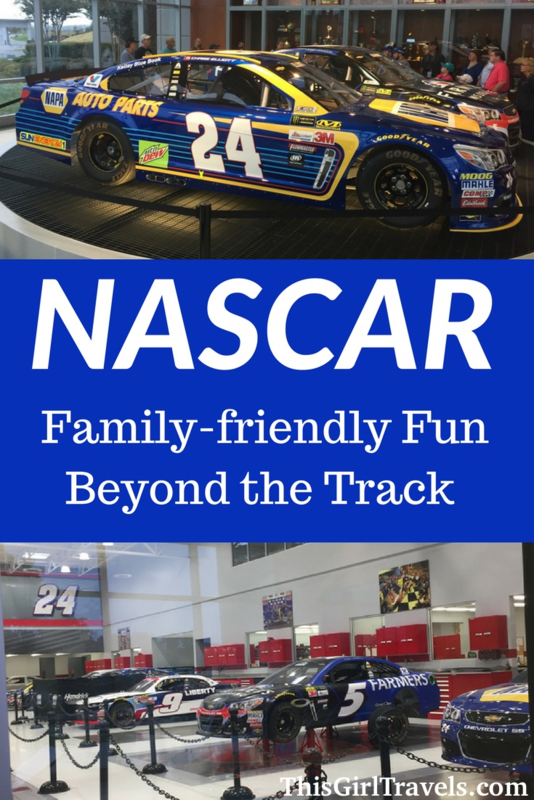 For example, during my visit to Charlotte Motor Speedway for the October race, my family enjoyed a NASCAR shop tour that included visits to Hendrick Motorsports, Stewart-Haas Racing, the Curb Motorsports Museum for Music and Motorsports, and the Dale Earnhardt statue in downtown Kannapolis. It was a great mix of history and getting a behind-the-scenes look at the race cars and what it takes to build them. At Talladega Superspeedway in Talladega, Ala., visitors can head across the street to the International Motorsports Hall of Fame where they can dive into the history of a variety of motorsports, including NASCAR, NHRA (National Hot Rod Association), IRL (Indy Racing League), and Formula One, among others. When attending your chosen NASCAR race, be sure to find out what tours are available at and near the racetrack. 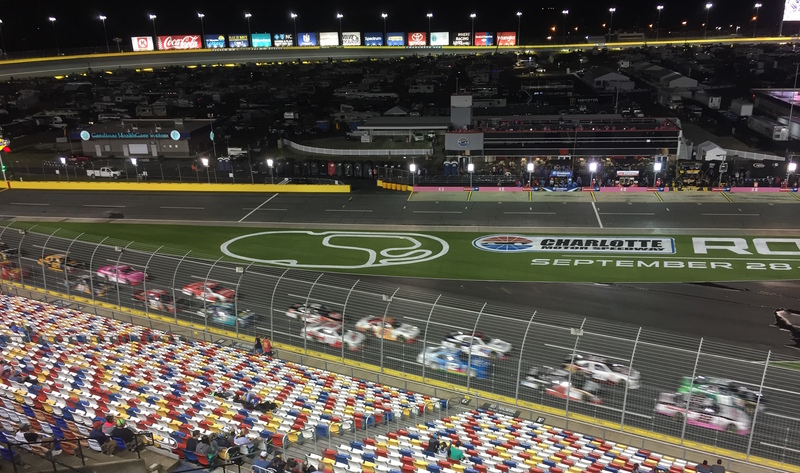 For fans who want to be close to the action, consider upgrading your race tickets for additional experiences such as visiting the infield, walking down pit road, see what’s taking place in the race garages, walk the track or visit Victory Lane. Now, unlike drag racing, which includes these activities in every ticket purchase, these extra experiences can be very expensive. That being said, many racetracks will offer these extras for free or reduced costs for children age 12 and younger. 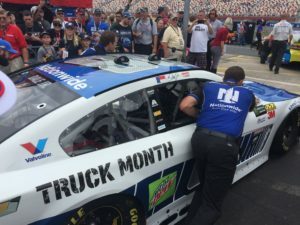 In fact, for many NASCAR race events, kids age 12 and younger can attend for free or at substantial savings with the purchase of an adult ticket. 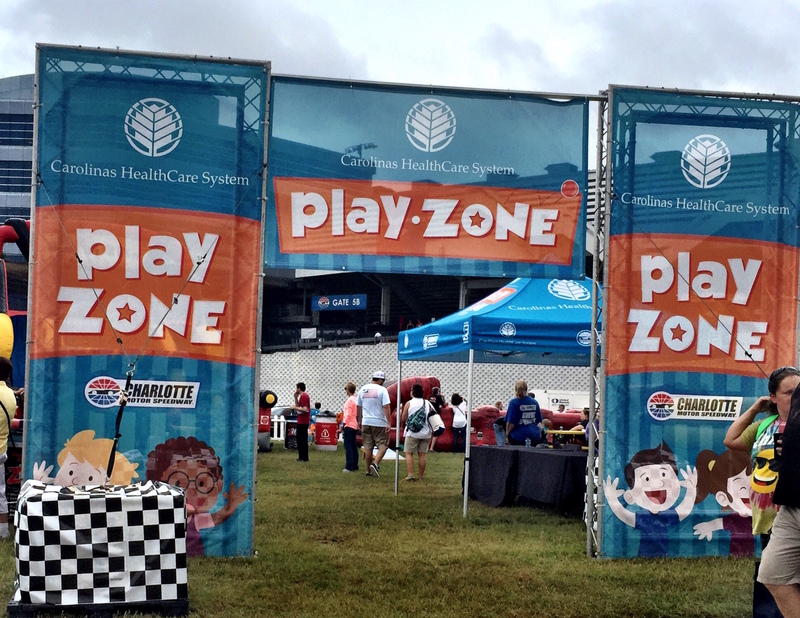 This can make attending a NASCAR race much more affordable for families. As you can see, watching a NASCAR race provides a look at just one aspect of a race weekend. Why limit you and your family to a one-dimensional experience when you can see and do so much more at an actual race? Have you attended a NASCAR race with your family? Tell us what you loved about it in the comments. Thank you to Charlotte Motor Speedway and Visit Cabarrus for hosting Karon and her family for this story. All opinions are those of the author. Wow! I am from Georgia (Marietta) and I love NASCAR too. Hated it when Tony Stewart retired; he is still my favorite. Great article. I grew up in Marietta! And, while Tony wasn’t my favorite driver, I do miss him on the track. Thanks for reading!